Trees processed into pulpwood find their way into your kitchen. Years ago you could only buy paper towels that ripped large, the perforations of individual sheets few and far between. Want to clean up a small spill? Big spill? Too bad, you only got a paper towel sized to clean up an oil spill. This was great for paper towel companies, bad for the earth, and ostensibly bad — or at least stressful — for those of us aware of the wastefulness of such a design decision. Sure, you could tear and then cut the large paper towel in half, but paper towels are often deployed in moments of panic or great haste, and so to ask someone mid-panic to reconsider their towel size is to shift the locus of responsibility onto the wrong party. No, it was the paper towel companies that needed to step up. And step up they did. What a nervous day it must have been in the industry when Bounty or Brawny or whoever decided to place towel perforations more closely together. You can imagine the word rippling out to other paper towel manufacturers — the decades-long collusion of default nonsense-sized paper towels collapsing by the actions of one rogue company. Perhaps a founder died and his heir, pulled from some paper towel shaped island in Dubai, was forced to take over. Witness to the gross idiocy of giant-size-only paper towels, she demanded change, she not beholden to the industry-wide legacy of waste. So it was: Machines were retooled, perforation distances reset, and smaller sized paper towels made their way onto the shelves of Stop & Shop and ShopRite and Walmart. Consumers, waking up from a wasteful slumber, realized how useful and smart and feel-goody smaller sized paper towels were. Single-purpose things loom large in the annals of computing. Unix, famously, is a giant box of single-purpose tools working together in piped synchronicity. Computers themselves used to be of a single-purpose. 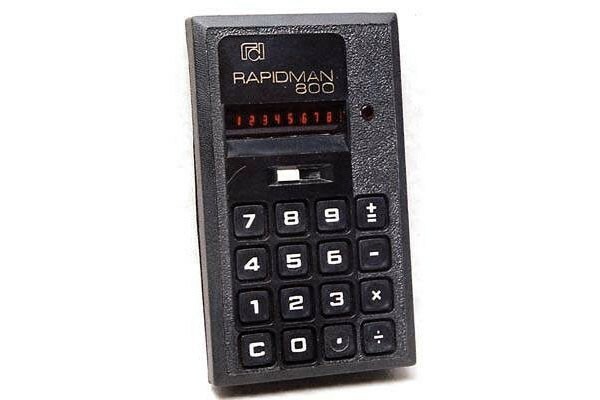 Just look to old calculators to see the internal complexity required to achieve external single-purpose simplicity. Readers who love hardware Kindles love them because they double down on reading and little else. Outside of electronics, money spent on a single-purpose object often trumps similar cash spent on a multi-purpose object, or a collection of objects that aspire to multipurposefulness. A single, sharp, well-made, 8” kitchen knife is almost always more useful, safer, and more satisfying than one of those similar costing blocks of multiple knives, none of them really well-made, none of them particularly sharp. 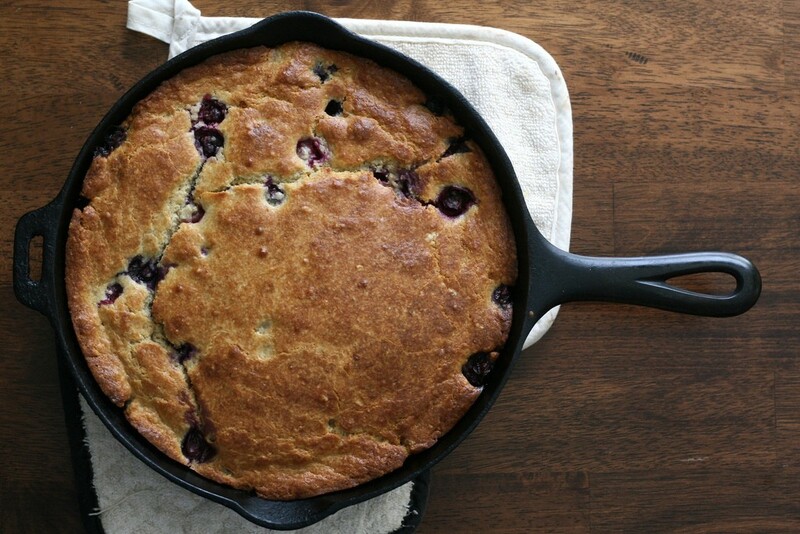 A single, simply-made 12” cast iron skillet is stronger and more useful over time than any number of larger or smaller, more complex teflon coated pans (flip the iron pan over, stick it in the oven and you have a pizza stone, for example). Over the years I’ve dreamt of a wooden single-purpose text input device. In my mind it’s a tiny block, the size of an old pager, hewn from walnut or bamboo or whatever is sustainable and good. It has a keyboard with tiny keys. A single row of LEDs comprising the screen like a calculator from the 1960s. 3G connectivity. All it does is post to your Twitter account. Why desire such an object? Because I’m weak-willed. I know there are post-only Twitter apps, but our smartphones are generally input-only antagonistic. They are push, not pull optimized. They are designed to ensnare you. They are sticky things, smartphones. To quickly Google a fact, tweet a thought, or respond to an email, is to run the cognitively exhausting gauntlet of whatever notifications may be waiting for you on the lock screen. Lock screen notifications can be turned off, but that’s just covering a deep well of sticky with a plastic baggie. Don’t even let me near the thing, I say, unless I’ve steeled myself for the torrent of updates and statuses. A tiny wooden nugget for capturing and publishing thoughts to Twitter feels especially compelling to me at conferences — from both perspectives of speaker and attendee. Attention stays where it should: on the conversation at hand, not on backchannel snarkery. And yet you are still able to create a public log of thoughts. Clay Shirky recently banned computers from his university lectures, much to the chagrin, one imagines, of his students. I love the idea. In doing so Shirky distills the singular purpose of attending a lecture: to be present and engaged. I’ve stopped thinking of students as people who simply make choices about whether to pay attention, and started thinking of them as people trying to pay attention but having to compete with various influences, the largest of which is their own propensity towards involuntary and emotional reaction. The fact that hardware and software is being professionally designed to distract was the first thing that made me willing to require rather than merely suggest that students not use devices in class. There are some counter-moves in the industry right now — software that takes over your screen to hide distractions, software that prevents you from logging into certain sites or using the internet at all, phones with Do Not Disturb options — but at the moment these are rear-guard actions. The industry has committed itself to an arms race for my students’ attention, and if it’s me against Facebook and Apple, I lose. I wonder if Professor Shirky would make an exception for my wooden Twitter nugget. I’ve recently begun to single-purposeify pieces of services I find useful and necessary, but also distracting as part of their greater whole. 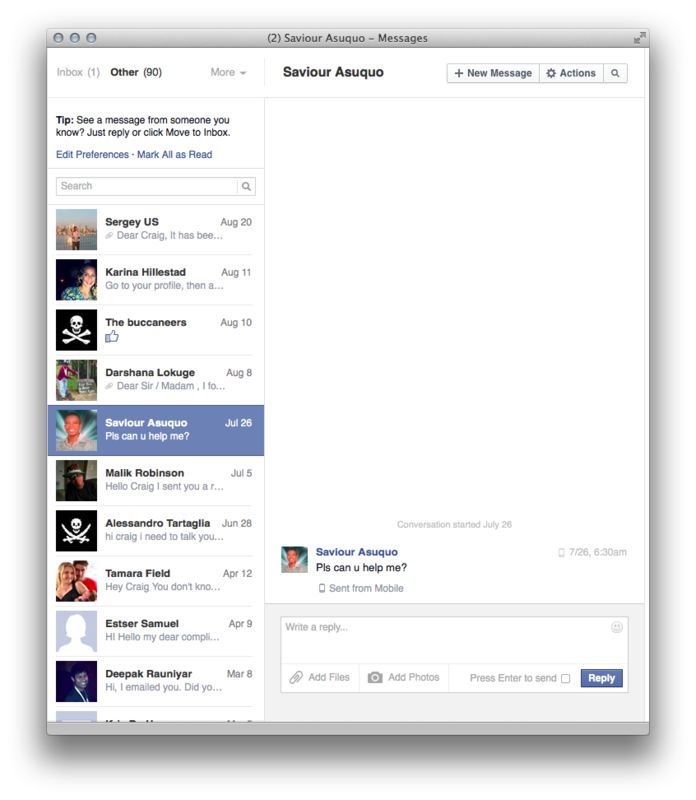 This past summer, Facebook rather mercifully decoupled their messaging app from their main app on smartphones. Facebook Messenger is a great application, maybe one of the best they’ve ever made. It’s simple, fast, and removes all the multi-level tedium from, say, including a photo in a chat or managing groups. The form and content of a Facebook update may be almost irresistible, but when combined with a visual alert in your immediate peripheral vision, it is — really, actually, biologically — impossible to resist. 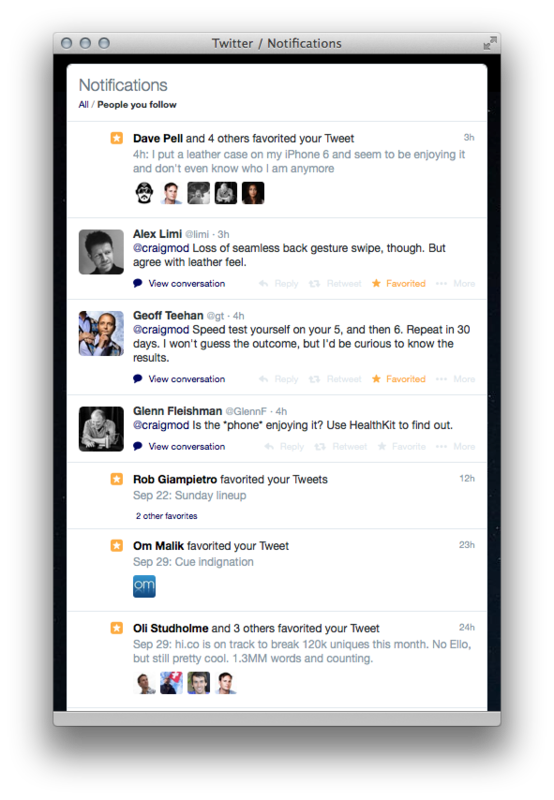 No toolbar, no red dots, no alerts, far less distraction. Make your own. It’s easy. Twitter is another service I recently tweezed apart. Twitter itself is simple, but in an effort to avoid distraction while still maintaining conversations, I unfastened notifications from the chest of Twitter. All of these single-purpose tools or philosophies strive towards the same goal: whittle away the cruft around an idea to reveal its most base components, and in doing so, strengthen what is left. The single-purpose lecture attendee is, in theory, a better student. 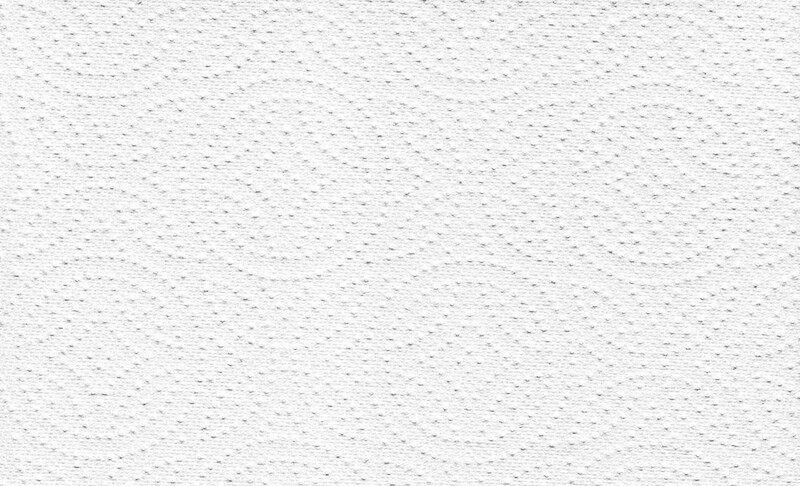 The single-purpose-sized paper towel makes us happier, is gentler on the earth. Individual tools in unix are more efficient and easier to debug because of their specificity. Facebook Messenger on its own is easier to use to communicate without the deluge of Facebook notifications flying in our faces. And so on and so forth. Trees processed into pulpwood find their way into our kitchens. We use them daily. Were the individual sheets to be made any smaller they risk becoming too small — where the cognitive load required to parse out the desired length becomes a subtle burden. But make them any bigger and we risk waste. In that sense, finding the notable-essence of an object or tool requires a delicate balance. It needs to be made single-purpose, but not overly singular. Unlisted Thanks to Clive Thompson, Virginia Heffernan, and Joanne McNeil.